Gaza - A rocket fired from the Gaza Strip on Monday was one of the most powerful launched ever by Gaza militants, flying nearly 120 kilometers (70 miles) before it slammed into a house in central Israel, wounding seven people. In 2018, Gaza’s Hamas chief Yehiya Sinwar boasted that the group had not only replenished the rockets it fired during the 50-day war in 2014, but had many more at its disposal. He said that what had been fired in 50 days “would be fired within five minutes” of any future Israeli offensive. Monday’s rocket strike was the furthest a Gaza rocket has landed since 2014, when Hamas struck the northern Israeli city of Haifa, about 150 kilometers (90 miles) away. Hamas doesn’t release details about its military capabilities. 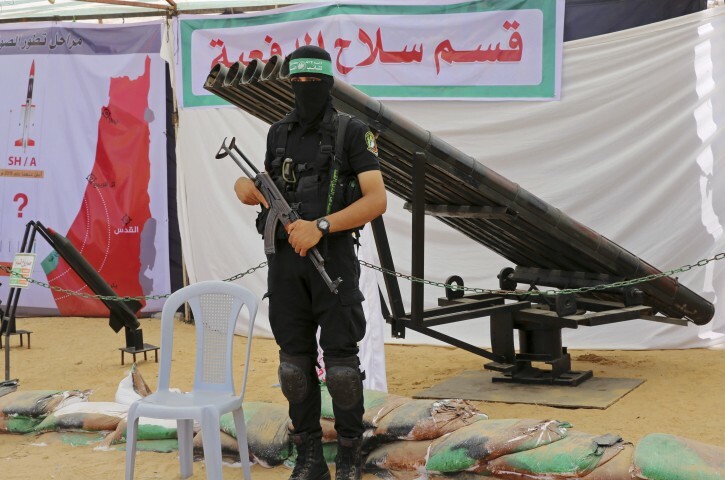 Gabi Siboni, an Israeli military analyst, said Hamas “has a variety of advanced, precise, and effective weaponry.” He said this includes guided anti-tank missiles and shoulder-launched anti-aircraft missiles, both produced by Russia, as well as some drones. —Qassams: In 2001, a year after the outbreak of the second Palestinian uprising against Israel, Hamas first fired a cross-border rocket toward Israel, calling it “Qassam” after the group’s military wing. The homemade rockets, aimed at Israeli border towns, had an irregular trajectory and sometimes landed inside Gaza. —R-160: Hamas calls this its longest-range home-grown rocket. It was first fired in the 2014 war and at one point hit Haifa. The “R’’ in the name refers to Abdel-Aziz Rantissi, a senior Hamas official who was killed in an Israeli airstrike in 2004. The number refers to the range, in kilometers. —Drones: Hamas has developed an early-stage drone program, displaying images of Israeli fields purportedly filmed by these aircraft. It’s not known whether they have been used for attacks. This is the danger of giving back land. You need to keep it hear anilmals spread thin, unable to mobilize and maintain control over them.